By buying this product you can collect up to 120 loyalty points. Your cart will total 120 points that can be converted into a voucher of RM1.20. 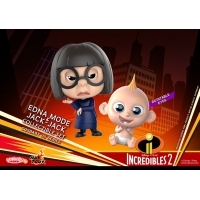 The newly introduced Incredibles 2 Cosbaby Series stand approximately 8.5 - 12cm tall includes the fan-favorite super Parr family each with different inborn special power, Edna Mode the super-suit designer as well as Hot Toys original character, Movbi in the most eye-catching red and black jumpsuit. 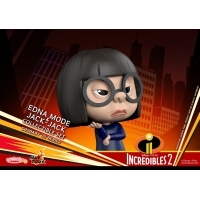 A collectible set with five Parr members suit up in their Incredibles hero suit is available whereas Elastigirl and Dash moving in supersonic speed comes exclusively. The star family features muscular Mr. Incredible and the speedster Dash with twistable waist, Elastigirl comes in extended arms with embedded wires allowing a variety of poses, while teenage Violet with translucent lower body and super powerful Jack-Jack and Mr. Incredible with rotatable eye balls! In addition to the Incredibles family set, Edna Mode and Jack-Jack Cosbaby (S) Collectible Set are offered to fans features a smiling Jack-Jack sitting in his baby diaper and the designer Edna Mode who altered the traditional design of the superhero’s custom. The recently debuted Hot Toys’ original character Movbi who enjoys the movies will return in this series. 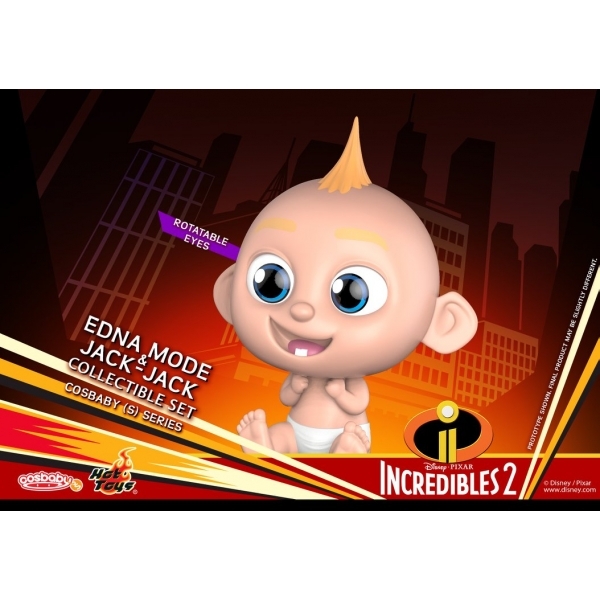 A special box of two including baby Jack-Jack on fire and Movbi dressed up in the iconic Incredibles suit will be available for purchase as well. Two alternative version of Jack-Jack are also included in this series, Jack-Jack with transparent eyes that imitate the laser eyes in the movie, and angry Jack-Jack with eye ball rotation function. 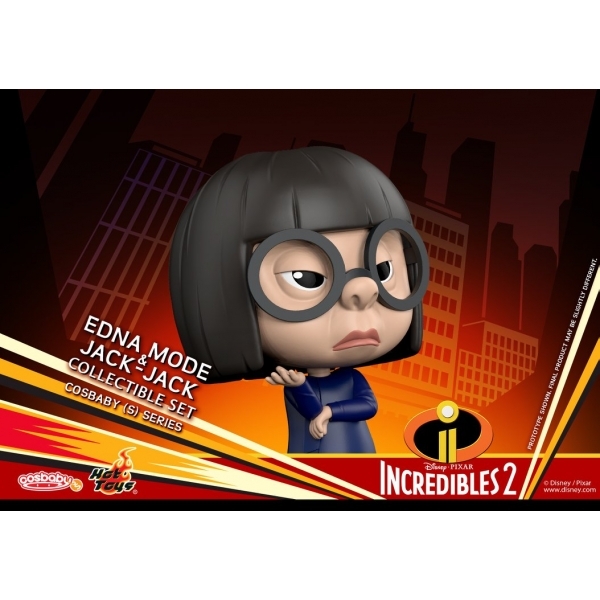 Pick up everyone’s favorite family of superheroes in Incredibles 2 that engineered to play to kids and grown-ups in equal measure.